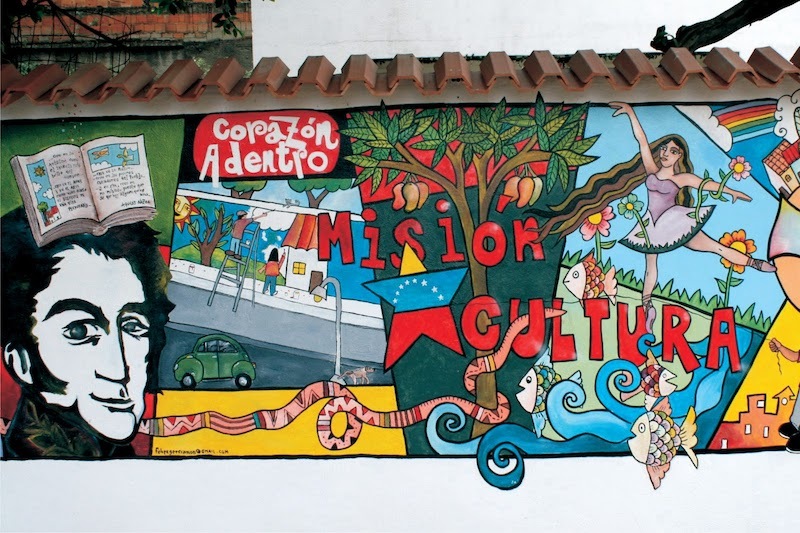 The autobiography workshops of the Misión Cultura, instituted in 2005 as part of a broader Bolivarian project, aimed to “give words, voice, to us, those always silenced” and build up a popular alternative archive of people’s histories. Misión Cultura. Photo: Venezuela Ministry of Culture. This excerpt from Sujatha Fernandes' Curated Stories: The Uses and Misuses of Storytelling (Oxford University Press, 2017) — which "considers the rise of storytelling alongside the broader shift to neoliberal, free-market economies...[and] also explores how storytelling might be reclaimed to allow for the complexity of experience to be expressed in pursuit of transformative social change" — was first published at Upside Down World. The anti-neoliberal orientation of the Chávez government and its alliances with social justice movements in the country and across the region enabled distinct options for grassroots social action, and that range is also apparent within the Misión Cultura storytelling project. One option that the Bolivarian project made available was a revolutionary subjectivity with Chávez’s life story as a model. Another option that the Misión Cultura made available was an alternative register for narration that allowed for a decentering of the unitary subject and its location in broader community networks. These two options were taken up in various ways by the participants of the Misión. While some participants modeled their life stories on Chávez’s epic tale of revolutionary conversion, others, often those with a strong base in mobilized barrio movements, linked their personal experiences to the collective register — identified by Alessandro Portelli as the life of the neighborhood and collective participation. It is this relinking of the personal, political, and collective registers that made possible alternative modes of storytelling in post-neoliberal settings. Ricardo José Guerrero, a cultural activist from the parish of La Pastora in Caracas who suffers from diastrophic dwarfism, completed a story through the Misión Cultura in 2014. He describes his condition in detail: “It involves knotted tendons in all joints of the fingers, elbows and knees, with deformities in the feet and the central trunk of the body.” The key events in Guerrero’s autobiography are focused in the cotidiano, the everyday experiences and struggles of those from the barrio. The collapse of his home is a defining moment in Guerrero’s life because of the way it alters his life circumstances, forcing him to live with many others in a makeshift camp that was to become his home. It is these daily struggles — of housing, transport, sanitation, and then dislocation — as well as the collective space of the barrio and the cultural activities he is involved with that shape the specific form of consciousness and agency that undergirds his narrative.